New Jersey’s Appellate Division recently ruled that a treating physician can testify about an employee’s disability without submitting an expert report. Normally, a witness who is going to provide an expert opinion is required to submit a formal report explaining his or her opinions prior to the trial. 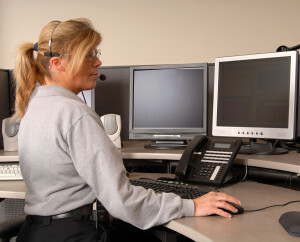 Patricia Del Vecchio worked as police dispatcher for the Township of Bridgewater for approximately a decade. Over the last five years she held that position, her gastroenterologist, Gary Ciambotti, M.D., wrote fourteen doctors’ notes indicating that due to a variety of gastroenterological conditions, including irritable bowel syndrome, Ms. Del Vecchia should not work the night shift unless it was an emergency. For three years, Bridgewater did not require Ms. Del Vecchio to work the night shift, but eventually it asked her to transfer to the midnight shift. She indicated she did not want to work the midnight shift because of her medical condition. In response, Bridgewater told her that if she did not accept a transfer to another job it would fire her. Ms. Del Vecchio accepted a transfer, and Bridgewater assigned her to be a clerk in the Police Department’s records office. Bridgewater fired her approximately 7 months later, claiming she excessive absenteeism. Ms. Del Vecchio sued, claiming Bridgewater fired her instead of providing her a reasonable accommodation for her disability, in violation of the New Jersey Law Against Discrimination (“LAD”). At the trial, the judge limited Dr. Ciambotti’s testimony because he did not submit an expert report. The judge allowed Dr. Ciambotti to testify about the fact that he treated Ms. Del Vecchio for irritable bowel syndrome, and permitted Ms. Del Vecchio to use his notes to prove she requested an accommodation. However, the judge ruled he could not testify about Ms. Del Vecchio’s medical condition, and instructed the jury it could not use his notes to support Ms. Del Vecchio’s claim that had a disability. Bridgewater had its own expert, Steven Fiske, M.D., who explained irritable bowel syndrome to the jury. However, Dr. Friske testified that even though he has treated thousands of patients who have that condition, none of them were unable to work a night shift because of it. He also stated it was possible Ms. Del Vecchio was malingering, meaning she might have been using her medical condition as an excuse to avoid being assigned to an undesirable shift. The jury found against Ms. Del Vecchio, concluding she did not establish she had a disability within the meaning of the LAD. Ms. Del Vecchio asked the judge to grant her a new trial, which he denied. She then appealed, arguing the trial judge improperly limited Dr. Ciambotti’s testimony. In Del Vecchio v. Township of Bridgewater, the Appellate Division reversed. Relying on two previous New Jersey Supreme Court opinions, it explained that although a treating physician usually is an “expert,” they are not required to provide an expert report to be able to testify about facts relevant to their evaluation and treatment of their patient. Accordingly, it ruled Dr. Ciambotti should have been permitted to testify about Ms. Del Vechhio’s illness, diagnosis, treatment and progress. The Appellate Division further found it was substantially likely the exclusion of this evidence may have changed the outcome of the trial. In particular, it found that limiting Dr. Ciambotti’s testimony so severely effectively left the jury with nothing to rely upon other than Dr. Friske’s testimony. Accordingly, it ruled that Ms. Del Vechhio is entitled to a new trial.